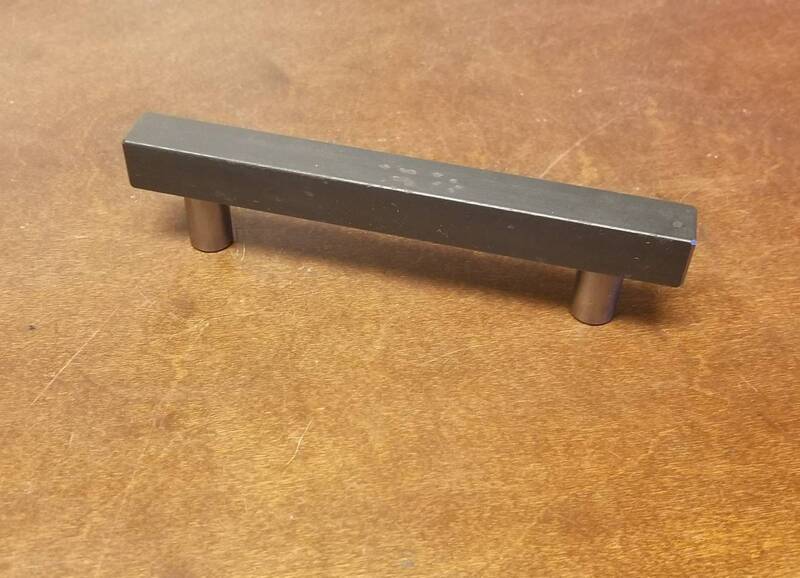 Modular Series Contemporary Steel Cabinet door/drawer pull 5/8" and 1" sizes - 5" - 20"
First, I cut the pulls to length, dress the ends with gentle chamfered edges, and drill/thread the screw holes. The posts are made from 3/8", 1/2", or 3/4" solid stock, bored, faced and cut to length on my fully manual Weiler production lathe. The pulls are finely sanded, and everything receives a generous coat of clear. Available painted (flat black is most common) for an extra charge - ask if thats what you're looking for and we'll get you set up. The smaller size measures approx. 5/8" square, and the larger size measures approx. 1" square. 1" x 1/2" stock is also on offer oriented both vertically and horizontally. Both are solid stock and have a really nice weight to them. 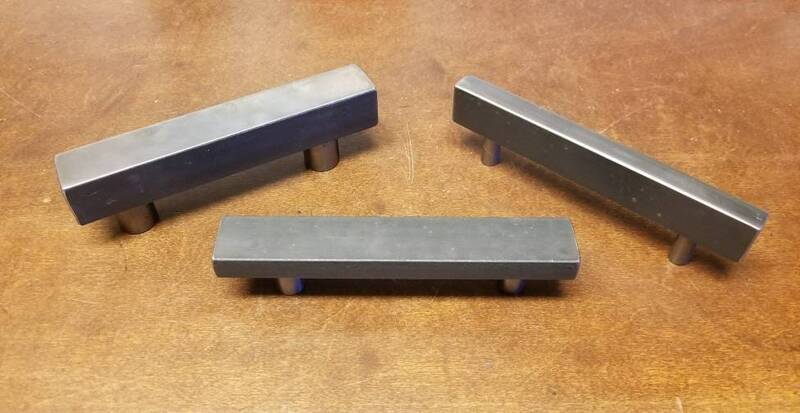 **Pictured on the 1" and 1/2" x 1" tall handles (in photos above) show an optional special request polished face option - this is NOT STANDARD, but, can be added easily for a few extra bucks - please contact for details, I'm always happy to customize! 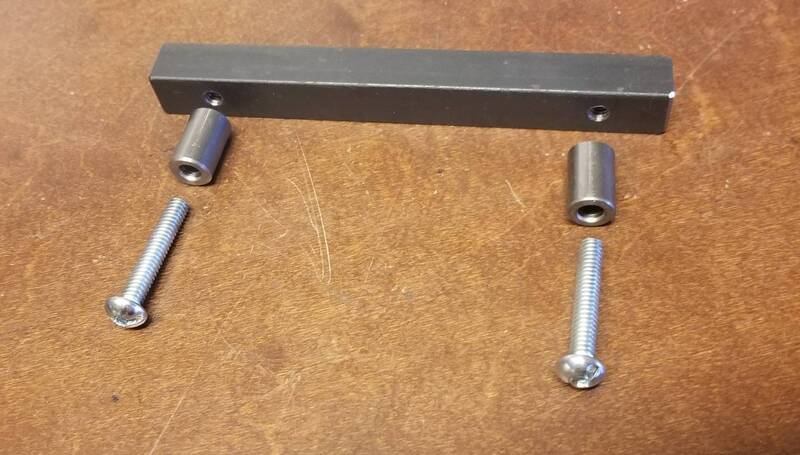 In standard configuration mounting holes are spaced 1" from the ends and threaded to SAE 1/4"-20. - appropriate length screws are included based on your order. 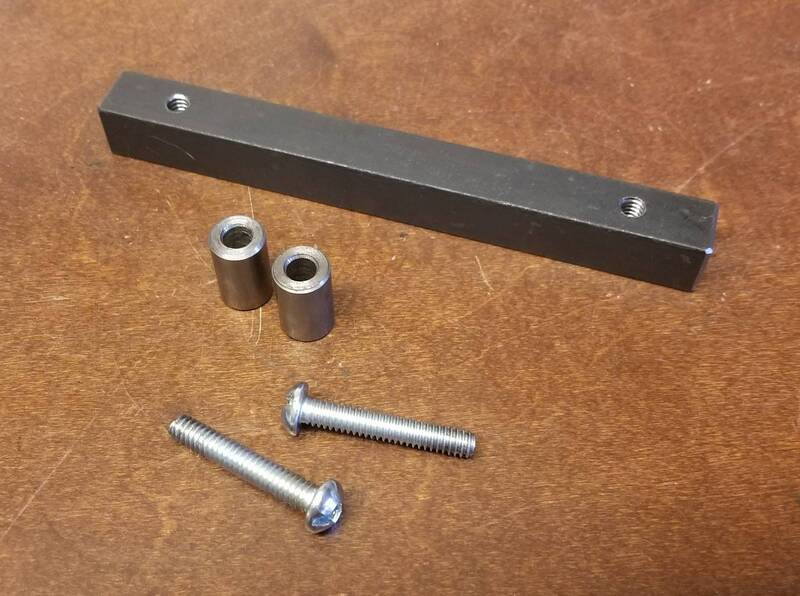 These screws are beefier than what is generally included with cabinet handles, which makes them an excellent option for commercial settings or other thick drawer front type configurations. They'll work 100% in standard applications as well. 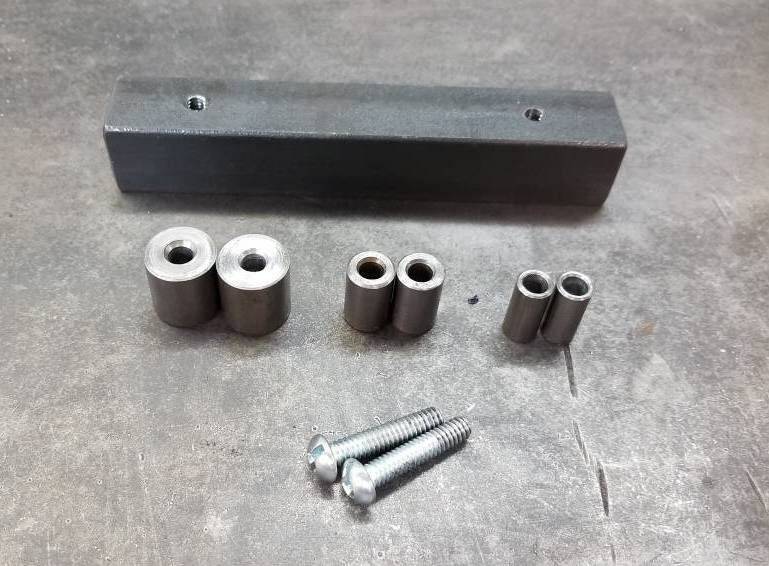 Standoffs are made of 3/8", 1/2" or 3/4" mild steel. Currently, two stand-off length options are available - 3/4" and 7/8".